« Should Your Nonprofit Use Snapchat? Twitter followers will be more likely to retweet your content if they like, know, and trust you. But where do you start? How do you develop a strong network on Twitter? An important part of any online strategy is search. How will people find you when they want to find you now? How will people discover you when they’re trying to solve a problem? But how does Twitter help you get found – both on Twitter and Google? 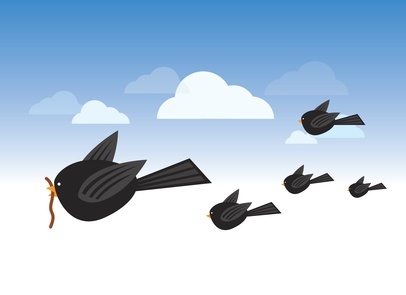 Tweets from highly influential users tend to rank higher in Twitter search results. Tweets linking to your website, from highly influential users help increase your website’s ranking on Google. To build your organization’s search profile with Twitter, pay particular attention to the prevalent keywords in each tweet. Use your focus keywords – especially when tweeting links to your website. Nurture relationships with key influencers who care about your cause (more on that below). Tweet hashtags that contain your keywords. Use hashtagify.me to discover the top hashtags for your cause (as shown below). Although it’s not perfect, Klout is at least one number that quickly tells you if your influence is growing or shrinking. It can also show you who is influential among your network. Share content that’s valuable. You can’t build Klout if you’re mostly sharing garbage. Connect with other influencers in your cause who have a high Klout score. Use the Klout extension to display Klout scores on Twitter.com (as shown below). Starting meaningful discussions by asking questions. Mention users with high Klout scores in your Tweets. Imagine you’re whitewater rafting with a bunch of friend who each have their own rafts. The water is initially calm, but eventually you come to a place in the river where the rapids are much more intense. Being smart, you reach out and grab your friends’ rafts pull them close to you. You tie them all together with a rope, creating one huge raft that will never flip over! One of the best uses of Twitter is to build a strong community of mutually supportive advocates. For example, peer organizations working towards the same outcome. Together you can accomplish more than each of you can separately. Organize key relevant users into Twitter lists. For example, bloggers, advocates, etc. Retweet the most relevant and engaging tweets (lots-o-retweets) from key users on these lists. Ask yourself: Besides retweeting, how else can I support their Twitter agendas? Consider joining or hosting a Twitter chat that benefits the group. What’s your best Twitter strategy? Post it in the comments below.John Haydon delivers social web strategy solutions for “the quick, the smart, and the slightly manic.” Curious? Then connect up: Contact John by email, see his profile page, visit the John Haydon blog, follow him on Twitter and Google Plus or leave a comment. Couldn’t agree with you more! Super awesome to see the Beth Kanter plug too. We love Beth!